This realistic landscape is actually an architectural fantasy, or capriccio, created by Viviano Codazzi. It includes real ruins in the background, like the half-buried Arch of Septimius Severus and the Palazzo Senatorio in Rome. But the large ruin dominating the left foreground, with its row of Corinthian columns, is pure fiction. 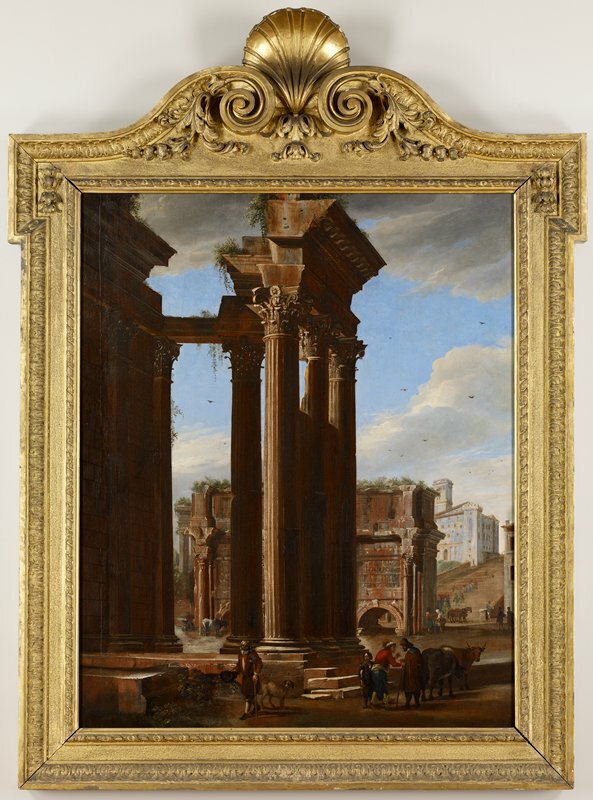 The painting was designed to lend a sense of grandeur to these architectural ruins, creating a setting more theatrical than pastoral. To make the scene more believable, Codazzi wanted to add figures, called staffage. But he was untrained in figure painting, so he hired another artist, Michelangelo Cerquozzi, to complete the work.